I know I promised this post 2 Sundays ago, I am deeply sorry for the delay. Life happened so I had to postpone this blog entry. Now feeling and breathing better, I finally had the time to create this much awaited post from the Guiltless Gourmand Series. 1. 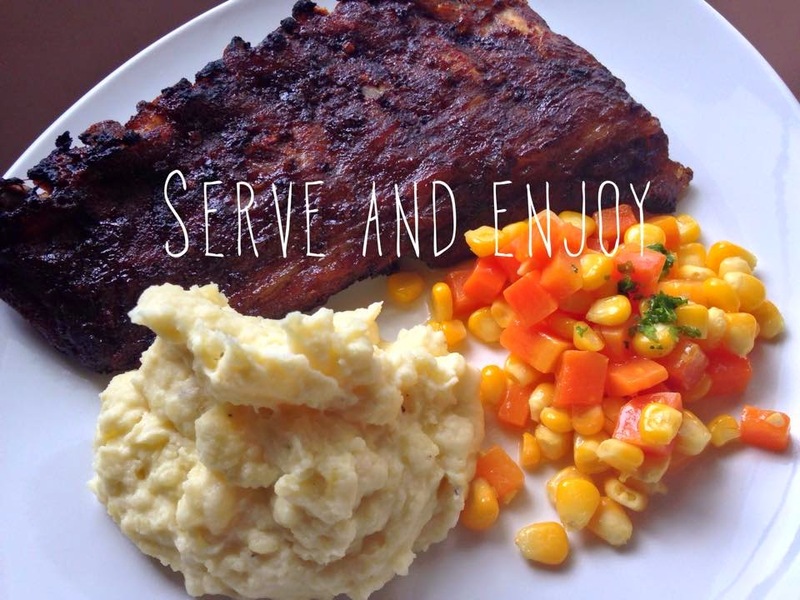 Buy your choice of baby back ribs from the market. The one we have here is from Rustans Ayala Cebu. This is the imported kind and costs Php600 for two full racks which is a very good steal. You can also try from the local meat market as well which would be cost-effective. 2. Prepare your Spice Rub and Barbecue Sauce steps and ingredients provided above. 3. Clean your ribs and cut it according to portions. Pat dry using paper towels. 4. Remove the thin membrane on the rib side portion of the meat. Why though? The membrane can also get very tough and chewy, especially if you cook hot, and if you cook low and slow, it can get rubbery. In addition there is a layer of fat under the membrane, and removing it lets it melt and drain. You can however just skip this step if you prefer to have it on. 5. Once skinned, you can now prepare the Spice Rub. What I do is make a whole batch and then keep it on a ziplock bag and store in the pantry. Apply rub generously on the meaty side and apply the other slabs of meat. 6. Marinade for a minimum of 4 hours or overnight. Wrap in aluminum foil and keep chilled in the fridge. Remove them from the refrigerator and set aside at room temperature while the oven is heating, at least 20 minutes. 7. Cook in the oven for an hour or so until meat starts to separate from the bones. 8. 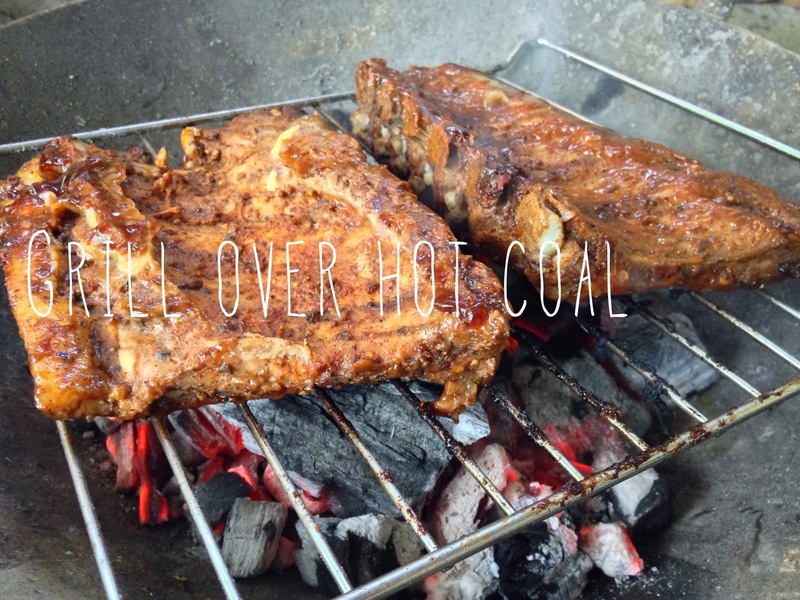 Remove from foil and start grilling over hot coal for 5-8 minutes on each side. 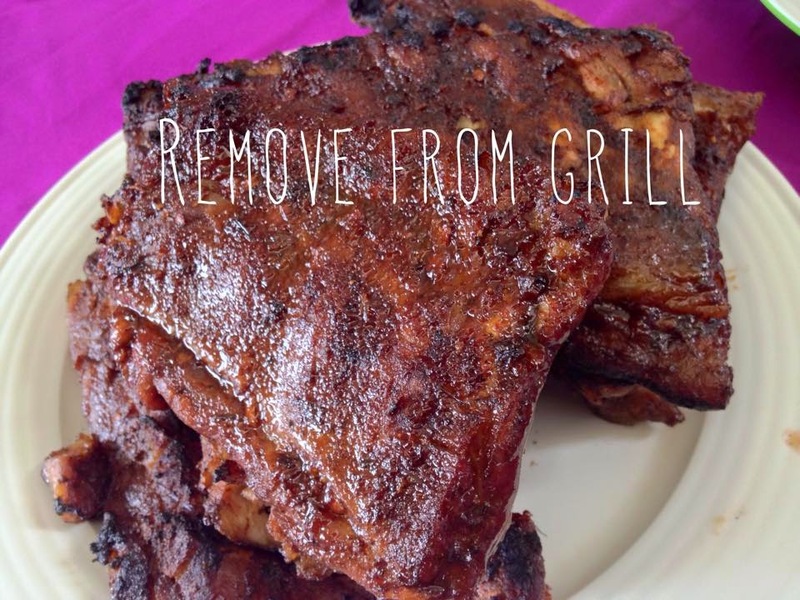 Slather some of that barbecue sauce on each side and remove from heat once you see grill marks on the meat.